Want to be notified of new releases in inhere/php-console? 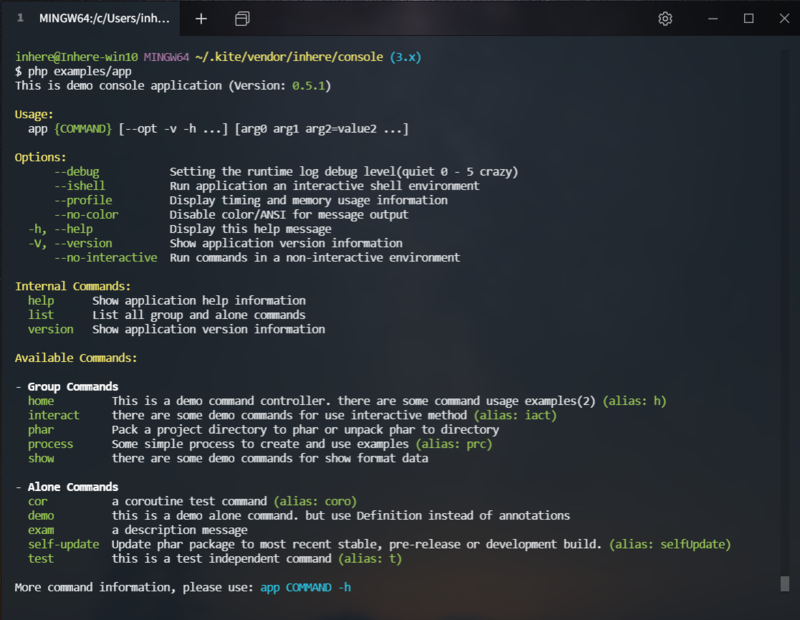 A simple, full-featured php command line application library. Provide console parameter parsing, command run, color style output, user information interaction, and special format information display. Easy to use. Can be easily integrated into any existing project. The color output is windows linux mac compatible. Environments that do not support color will automatically remove the relevant CODE.